Like many terrifying rumors, it started on Reddit. Kotaku noted that the “liquid cheese” was spotted at Ohio University in late October. 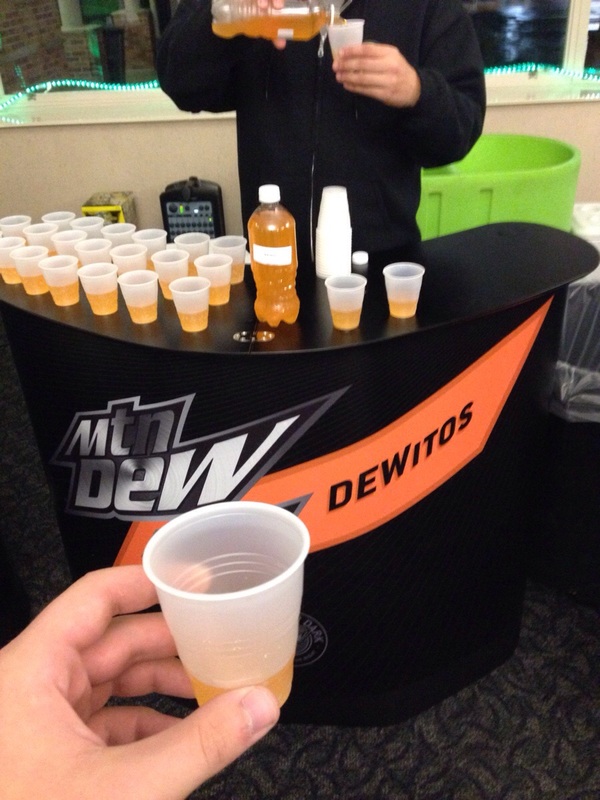 Joes_nipples also said that Mountain Dew was testing a lemon ginger, mango habanero, and rainbow sherbet flavor, too. The product isn’t completely outlandish. Fusion is in right now (think Doritos Locos Tacos), Mountain Dew and Doritos regularly have partnerships, the Super Bowl is coming (anything and everything weird happens around the Super Bowl), and people have been kind of petitioning for this for a while. Although the suggestions for Dewritos might not have been in earnest. A Mountain Dew spokesperson told TIME that the product is being tested, although there’s no word if it will be coming to a store near you.